Dynamic Systems range of seating components consists of the most advanced memory foams available in the world today. 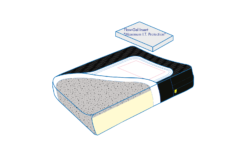 These represent the latest generation of memory foams, and are manufactured by the company founded by one of the NASA engineers who invented the concept (Tempur Foam), which is now emulated by other manufacturers worldwide. 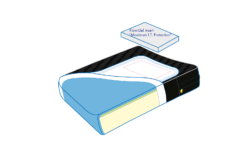 While other memory foams are marketed under the visco-elastic or thermo-reactive banner as a selling point, the truth is exactly the opposite. While the original Tempur Foam fudged the law of “for every action there is an equal and opposite reaction”, the greatest ﬂaw was the material’s characteristic viscosity which in some cases, changed dramatically with small changes in ambient temperature. 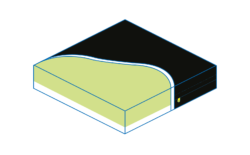 In common terms, this means that a cushion made of viscoelastic foam can literally feel like polystyrene at one temperature and a super-soft, non-supporting product at other temperatures; meaning the product you issue in the morning is a different product by lunchtime, or the product you issue in July is not the same item in January. The safety implications of this are both obvious and serious. They are, however, avoidable by choosing any one of Dynamic Systems’ products. 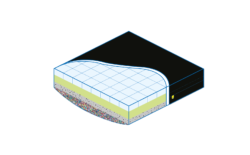 Whether you select Sunmate, Pudgee, or Laminar, you can be assured that due to its viscous stability, the quality and performance of the product you issue is the quality product the client receives. Dynamic Systems, Inc. recognized these weaknesses in the original materials (amongst others) and developed unique foams to overcome these weaknesses. 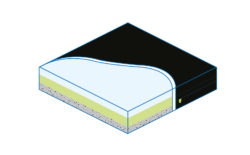 Two types of memory foam that defeat the general rule are Sunmate and Laminar. Unusual to memory foams, both these foams are high-load-bearing. Sunmate succeeds in achieving this while remaining both light and soft to the touch. Laminar, while being heavy in weight, can sustain virtually any reasonable loading. Another completely unique memory foam developed by Dynamic Systems, Inc. is Pudgee foam. Pudgee, Sunmate, and Laminar are made with 30% to 50% natural plant material. All other chemicals are vetted for minimum toxicity, making Dynamic Systems Inc. cushions one of the “greenest” foams available in the world.